Hyperarticulate, macho screenwriter Aaron Sorkin is the perfect match for his subject in “Steve Jobs,” an interesting film that stretches the definition of biographical. 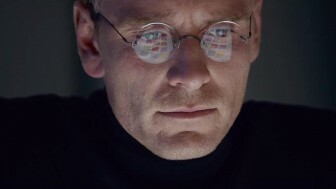 Sorkin paints a picture of Steve Jobs in three acts, through three pivotal product launches. Before huge, excited crowds, Jobs prepares to announce first, the Mac, then his solo venture NEXT and, after a calculated triumphant return to Apple, the iMac. This structure digs up the same key players in his life and has them confront him every time in a similar fashion, on the same issues every time. This dramatic device emphasizes how he changed and how he stayed the same. It’s also, intentionally, rather redundant. (Photo | Universal Pictures) Michael Fassbender plays the titular character in “Steve Jobs,” an Aaron Sorkin biopic about the tech mogul’s management style and personal life throughout Apple’s most significant developments. The first sequence is the most effective. As Jobs berates everyone around him, it is only his closest confidante and ally, marketing director Joanna Hoffman (Kate Winslet), who can try to talk sense to him. This dynamic remains throughout the film, unlike Winslet’s slight Polish accent, which suffered from one of the most egregious cases of vanishing and reappearing movie accents I have ever witnessed. Aside from his professional obsessions, Jobs’ ex-girlfriend and their daughter, whose paternity he initially denied (to the kid’s face) give the film its emotional current. Before every launch, these females are on hand to remind him of his responsibilities. 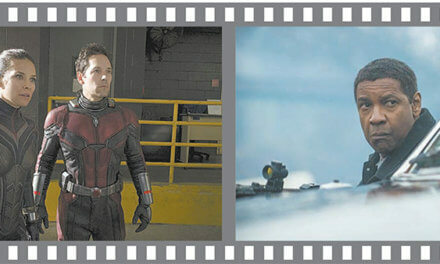 In a quest to subvert the typical biopic, the filmmakers made some rather alienating choices. To me, the three-act structure got boring; the middle sagged as the same characters raced through backstage hallways, once more, spewing impressive but redundant dialogue. Any “true” story will still have blatant omissions, but many key moments hung around Jobs’ relationship with his daughter. I think it’s a salient fact that he married and had more children, but this was left out of the movie. These faults aside, Michael Fassbender is endlessly watchable in “Steve Jobs,” and Seth Rogen is surprisingly serious and soulful as Steve “Woz” Wozniak, a teddy-bearish counterpart to his flinty partner. And of course, what Sorkin project would be complete without his favorite blonde cinematic stand-in, Jeff Daniels, this time playing Apple president John Sculley. “Steve Jobs” has some interesting things to say, and Sorkin is always going to say them in the most verbose, clever way. Yet some structural contrivances slow down the pace of a film that already spends a lot of time with computer programmers discussing computers, and really doesn’t need to feel any longer than it already is. “Steve Jobs” is currently available to rent.